You don’t need to waste your precious lifetime by manually tracking your social media KPIs. With our analysis you can move forward with what you do best and leave the hard one to us. 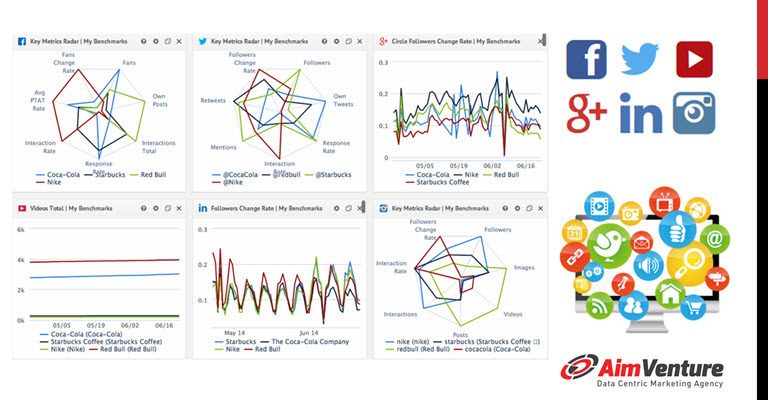 Combine the social media data of all your social networks in one tool. Whether you are using Facebook, Twitter, YouTube, Google+, LinkedIn, Instagram, Blogs or all, we visualizes and checks your social marketing success, presented in a clean and neat design to always keep the overview.